When catastrophe hits and crises arise, it’s perfectly okay to Just Do You! 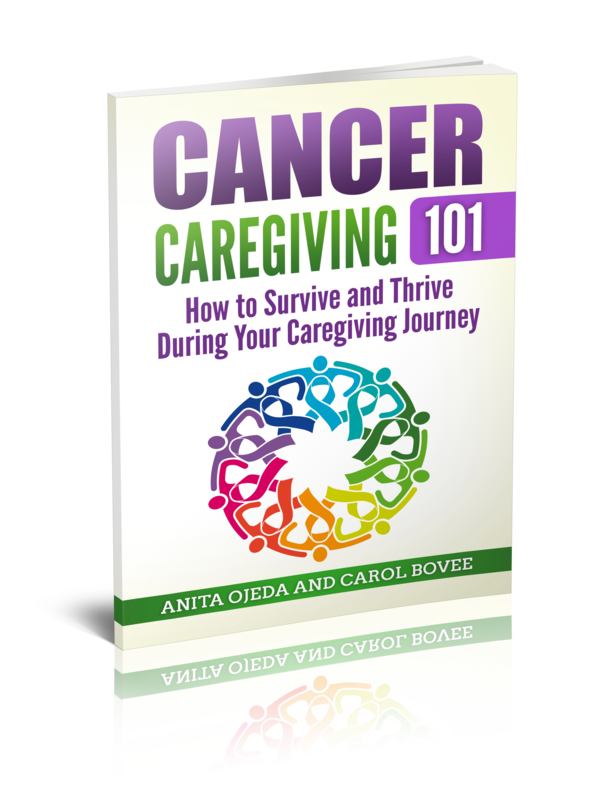 When catastrophe strikes and crises arise, caregivers and survivors often struggle with guilt and surreal feelings of isolation and wonder that life moves on around us. Sometimes we are caught so deeply in our own battle that we forget others face different fights. But even harder – we’re bewildered that some people obliviously go on as if nothing is wrong. That one is hard to take! Hurricane Harvey blew into the world’s riveted attention in a catastrophic way. We all watch and wonder at the overwhelming flooding – both literally with water, and figuratively with loss. Many people are praying and thousands of people are helping. Meanwhile the people in south Texas are doing what survivor’s do: working together in amazing ways to get through this. “It’s not that I don’t care what’s going on in the world. It’s not that I’m not happy for other people or sad for other sad events. It’s not that I don’t hope for some version of “normal” in my life. BUT. If there were a Hide Everything But Posts about Helping People Affected by Harvey option, I’d turn it on. This hit me right between the eyes and sank deep into my soul! I remember those days – facing the same four hospital walls day after day while my four-year-old lay fought Leukemia for his life. My mind jumps to a visit from family that meant the world to me. They dropped everything and came to visit. Andrew had received blood the night before and so was happy and communicative as the family sat around discussing their plans. They’d driven down from a small town to the big city where the Children’s Hospital housed us. They were chatting and I zoned out, clicking back into the conversation to hear them mentioning hitting stores for back-to-school shopping. It startled me – this mundane thing that people out in the real world were doing. Shopping, especially Back-to-school shopping. How could that be? We had life and death stuff going on right here and frankly, I couldn’t think of anything else. I nodded while the talk flowed around me. It made sense. Of course people needed to get their kids back into school. Why not combine a a hospital visit for a nephew with a shopping spree in the city. My mind came to grips with this shopping expedition and tuned back into the conversation. Wait. What did they say? They’re going JET-SKIING? Is this even a thing? Suddenly I couldn’t breathe. While I could come to grips with necessary shopping, or playing with friends, doing things that weren’t just fun, but extra fun was to bizarre for my mind to even process. I nodded and smiled (I hope) while my mind struggled with alternate reality. I wasn’t ready to let the outside world in because this world – this moment, this fight – were all I could handle. That felt weird. And selfish. And uncaring. I didn’t want to hear about fun my family was having. When my mom told me about someone else fighting cancer, I sympathized, but cringed. It was SO HARD to handle. Awful. I felt like an awful person that underwent an overnight transformation from someone who always cared about others to someone who just focused on this moment, this medical procedure and this fight. Well, here’s what my three-and-a-half year leukemia battle for my son’s life taught me. It’s all right everyone. Handle what you can handle and just let the rest go until God tells you to take it up again. Don’t feel guilty because if you try to take on more, you might just fall apart. God made our amazing bodies and brains to shut down what’s not necessary in the fight-or-flight process and when we SHOULD handle more, we will. Until that moment just relax and let God handle things for you. No guilt – no shame – no apologies. It’s been a few weeks since I last wrote about Psalm 91 and the caregiver. In the intervening time, I’ve run a marathon, taken a marathon car trip (from Holbrook, to San Diego, to Holbrook, and then Tulsa, and finally to Palmer, Alaska). I have also taken on a different kind of caregiver role—this time as granny to my sweet grandson and helper to my daughter and son-in-law. In the first two installments, I shared what I’ve learned about God’s protection from the evil one’s lies and attempts to draw us into the pit of despair. I’ve come to understand that Psalm 91 doesn’t promise to keep us from bad things—it promises to protect us from our human reaction to bad things. The ‘it’ in the third line refers to the plague in verse 6. God has me covered in mind-protection—even if I get sick, or the ones I love go through disasters. All around me, those who reject God will stumble and fall (and I will join them if I keep my eyes focused on myself and not on God). The world has plenty of examples of what happens when an individual rejects God’s sovereignty—people suffer from the consequences of their sinful actions all the time. But because I chose to accept God’s protection and right to rule my life, I’d like to think that I make better choices in the here and now and therefore don’t have to suffer so many consequences. Don’t get me wrong. I don’t stand above anyone gloating and puffing myself up (God never asks us to do that). Practicing God’s sovereignty in my life takes a constant turning of my self over to God and a humble spirit (I tend to think I know it all). But Do We Get to Skip the Bad Stuff? I have seen Christians go through difficult times and react one of two ways. They might believe that God wants to punish them for something that they did. When Pedro received his cancer diagnosis, a local pastor insinuated that if Pedro just confessed, the cancer would go away. God doesn’t work that way (and the pastor’s words brought no comfort). The other reaction involves anger at God for not keeping his word because in Psalm 91 it appears that God promises a ‘Get out of Trials Free Card.’ I don’t think that God promises that we get to skip the trials of life. Exodus and Psalm 91, both written by Old Testament authors, were written for specific people during specific circumstances. The words of Exodus record God’s instructions for the Children of Israel (and it’s no coincidence that they are called ‘children’). The NIV translation implies in a footnote that the ‘he’ refers to the king. Therefore, we have some idea as to the specific audience. The application comes when we realize two things as well. First, we need to dwell with God and give control to him. Second, we serve a powerful God who has proved faithful in the past and will continue to provide for us in the future. Once again, we don’t get to choose what that looks like. I find comfort in the fact that my powerful and mighty God can prevent me from harm—if the situation calls for that. If harm befalls me, well, I know that God loves me and will help me through. Find comfort in reading about the power of God. Don’t blame God when disaster befalls you—we live in a sinful world. God doesn’t make people sick in order to punish them (punishment comes at the final judgment—things that happen now just happen because of sin). Are there any promises in the Bible that make YOU mad? I confess. I have a problem with Psalm 91. Have you read it lately? For the last seven months, I’ve studied the Psalms. Last week I came to Psalm 91 and it got my dander up. Why? Because as a caregiver, I KNOW that God doesn’t offer supernatural protection from disease and death to Christians. I’ve known many good Christians who have had catastrophic illnesses, and many good Christians who have died. How then, do I reconcile the verses about ‘no harm overtaking me’ and ‘no disaster coming near me’ with the reality of the bad things that happen to the ones I love? Psalm 91 makes it sounds as if genuine Christians will have nothing bad happen to them. In fact, the Pilgrims believed that disaster meant that a person lived outside of God’s grace. The ‘elect’ had successful lives; everyone else had problems. I don’t claim theologian status—but I do claim a personal relationship with God and a desire to understand his word with the help of the Holy Spirit. So, I set out to figure out how a caregiver can live with Psalm 91. For the next several days, I’ll share what I’ve learned from giving Psalm 91 a closer look. First of all, we must dwell in God. The word dwell means ‘to remain for a time’ as well as ‘to keep attention directed.’ It can also mean abide, stay, remain, and tarry. If I spend time with God and trust him with the most intimate parts of my life, than I can say I dwell in him. In that act of dwelling, I can find rest—something every caregiver needs! I must give up my desires to fix everything and make the path smooth for those I care for. I must discipline myself to consciously turn over all of my problems to God. Verse two talks about God in war-terms: refuge and fortress. Our motto needs to be, “I trust in God.” Period. The next two verses use a birdy simile—something I can relate to! In the olden days, fowlers had the responsibility for setting snares for wild birds for the cooking pots. They acted as specialized bird hunters. Likewise, the devil acts as a specialized hunter of human souls. The word ‘pestilence’ means ‘disaster’ or ‘destructive and pernicious.’ The devil sets snares for us, and uses pernicious lies to lure us into his hopeless way of thinking. God doesn’t promise us a life without disease, he promises protection from the pernicious lies of the evil one. The simile continues in verse four where the psalmist says that God will offer us shelter under his wings. A mother bird will shelter her young under her wings—which act as protection against the elements as well as other birds and animals of prey. I believe one facet of that protection for caregivers includes what I call a ‘happy-face-state-of-grace.’ During Pedro’s illness, I often thought it odd that I didn’t break down on a regular basis. Bad news and discouraging setbacks seemed to roll right off me—I had taken emotional shelter under the wings of a loving Savior. Just like feathers repel the rain, so God’s grace provided protection for my emotions during very trying times. God’s faithfulness arranged flights that seemed impossible, kept airfare low, provided inexpensive hotels, and in times of great need, a way for our daughters to see Pedro for what we thought was the last time. 1. God wants us to take up residence in the safest place possible—close to him. As caregivers, we do this by staying in daily connection with him. 3. God’s ‘wings’ of grace protect us and allow us to function when we choose to hide close to him. 4. God will provide. His faithfulness will manifest itself in unexpected ways. How has God provided for you in your caregiver journey? Share in the comments section! I’d love to celebrate God’s goodness with you. My dog tugged on the leash as I looked down at the tarnished penny in the road. Should I pick it up? Is a penny on the road a sign from God? Maybe if it’s needed. A quarter lost in the parking lot. A tip earned from her job at the bakery. A penny abandoned on the sidewalk. Change left in the washing machine. Often I wondered how much these little offerings could possibly contribute to the needs of the world, but those thoughts never stopped me from helping. Gram had a way of making it fun and it was our special thing, along with writing silly poetry. One day I asked if she really thought her investment money made a difference. Her eyes grew serious and we sat together on a park bench while she reminded me that God didn’t really need our money, but He did need that commitment from us. She said any chance we have of helping Him by serving others is our way of showing Him our love and trust. And then Gram told me how much investment money she had turned in the previous year. My eyes grew wide – I had no idea her quarters, dimes and pennies added up to that amount. But over time, the more I thought about it, the more I realized that I often found coins when I was with Gram and they were for investment. I rarely found coins when by myself. Hmm. I wondered – was that God helping Gram with her investment? After all, Gram had told me, she asked God for lots of things, and this was the thing that she did for God. It was kind of her deal with God – whatever she found, was His. I picked up the tarnished penny and placed it in my pocket. My dog tugged happily and we continued our walk while thoughts kept running through my head. Yes. I made a lot of requests of my Savior. And while I know He doesn’t mind, I began to ponder what I’ve given Him in return. Sure, I teach about Him daily, I’m privileged in my job to be able to do that. I sing to Him a lot. I pray a lot and I give thanks many times a day. It has been my delight to go on many mission trips, but those are so fun for me, I don’t really believe they’re much of a sacrifice. My dog joyfully raced around me in circles as we cut through the park and out onto the road on the other side. As I bent to fasten her leash once again, something bright and shiny glistened in the sun in the middle of the road. I checked for cars and led the dog into the road. I grabbed another penny and slid it into my pocket with the first. Yes, God. You’re right. I need to be more intentional about looking for ways to give back. “Put a penny in your pocket” chanted in my head as my steps turned toward home. Two cents wasn’t going to change the world. So far, I didn’t have enough to even warrant me sending it to my church treasurer, but the conviction grew in my heart. “I’m going to do it, Gram,” I whispered. “I’m going to keep up your investment project.” I don’t know why I haven’t done so before. My dog danced on the end of her leash as we cut through the shortcut to my street. Right in front of my house, wouldn’t you know it – a third penny sat waiting for me in the street. My blue eyes sparkled as I slid the penny into my pocket. God and I have a deal. With God,a pittance can be huge. Join us as we write about the prompt: More. You’ll find some amazing stories over on Kate Motaung’s page for Five-Minute-Friday, where she gives a prompt and we write and post. Of course it worked. Daddy, no matter what he was working on, headed over to the rambling raspberry bushes taking over our fence-line. He picked the biggest, ripest, and sweetest berries he could find and loaded her little Raggedy-Ann bowl. She perched on the garden wall and waited, kicking her feet in anticipation, grinning at me as I watched. “More some,” she announced with great satisfaction. Daddy handed her the bowl and she lisped, “T’ank you!” and ate her berries with gusto. “More some” is a phrase Daddy and Mommy came to treasure. Our daughter’s complete trust in the fruit Daddy would choose, her delight in the simple treat and her persistence to gain something, even when she didn’t even have the right words to do so, gave us joy. It’s a positive trait – pushing for more. Not because you’re dissatisfied with what you have, but because your goals are higher: your dreams are bigger! Working your way up the ladder. Increasing trust in the love of our Heavenly Father and the gifts He wants to bestow on us. Delighting in the things He has provided and persisting in our desire for MORE.